What are the best websites for streaming movies (free & premium)? Here's the low-down on the best streaming sites. Streaming sites have now officially surpassed torrents as the public’s favorite way to watch movies. They let you watch what you want, when you want – without having to wait for a download. What's not to like? But there is a catch. There are literally hundreds of streaming sites out there and, what's worse, many are downright dodgy and cannot be trusted. So, how’s a person to figure out which ones to use? We’ll do it for you! We’ve painstakingly reviewed dozens of streaming options so you don’t have to. 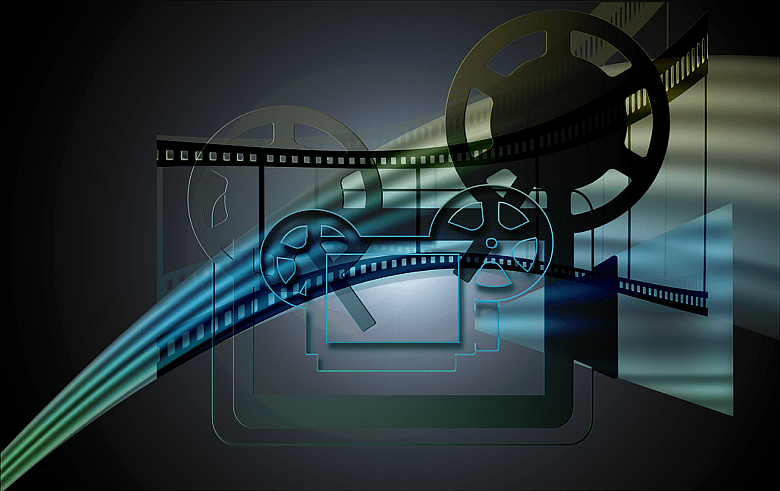 Here’s the best of the best when it comes to movie streaming sites. Top Tip - ​Use a reliable VPN such as NordVPN when accessing free streaming sites. This will hide your real IP address and provide an extra layer of security as no site is immune from malware. Want to watch a movie, but don’t have a paid subscription to any streaming sites? Not to worry. These streaming sites are not only free of charge, but most of them don’t even require registration. BobMovies.TV is free streaming as it should be. BobMovies.TV is one of the newest and best free streaming sites. Well organized with a huge library and a very easy & intuitive interface makes BobMovies.TV a free streaming site to keep in your bookmarks. It has all the latest movie releases and a list of top 300 films to help you discover a new favorite. It also carries popular TV series. BobMovies.TV is completely free with no annoying ad, pop-ups or pop-overs. You don’t even need to register to watch, but if you do you unlock extra features like the ability to download films for offline viewing and to participate in its community forums. ​YesMovies is one of the prettier options on our list. But it’s got the features and functionality to go with the shiny packaging. And it’s fast, too! Whether you’re on your laptop, tablet, Playstation/Xbox, or mobile, YesMovies just zips right along with no problems. Like Netflix/Hulu, etc., YesMovies even suggests movies that you might like. UPDATE: ​123movies shut down in March 2018. 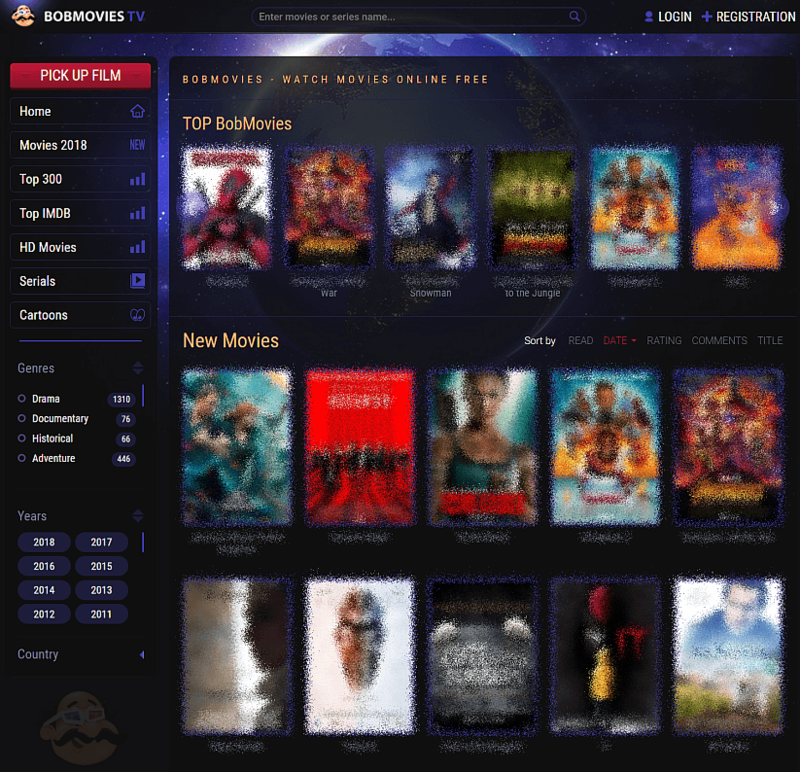 Use of the 123movies alternatives highlighted in this post. Coming in at the head of the pack is 123movies. And what really sets this one apart is its awesome interface and design, which makes it much easier and more enjoyable to use than the average streaming site. Of course, none of that matters if the library doesn’t stack up. Fortunately, 123movies has the database to match, with tons of movies and TV series to choose from, featuring good quality and quick loading times. And the site’s setup makes it easy to find what you’re looking for, sorting movies by genre, year, and even country. It’s no surprise that 123movies has grown into one of the most popular streaming sites on the web. Is Vummo.li the best streaming site? ​If you like Netflix, you’ll probably like Vumoo too. Because one of the biggest ways Vumoo stands out is its Netflix-esque layout. There aren’t many free streaming sites that can compare to Vumoo’s streamlined design and super easy search. Movies are filed in horizontal rows by category, like Popular This Week, New Releases, Recently Added, and even IMDB Top Rated. The one area that holds Vumoo back is its new releases. Though it’s got an impressive library, they don’t always get the latest and most exclusive content releases as early as some of the other sites on our list. Is Alluc.ee the best streaming site? Alluc is a little different than the other entries on our list. It works more like a massive meta search engine that links together all of the different streaming sites. Just type in the movie or TV show you want to see and let the results pour in. Don’t be surprised if you end up with dozens of options to choose from. This means Alluc really shines when you’re trying to track down a hard to find movie that your favorite streaming site doesn’t offer. In fact, the one drawback of this site is that you sometimes end up with too many options. Is Putlocker the best streaming site? Putlocker is one of the most popular streaming sites in the US – and for good reason. It has tons of movies and TV shows, the video quality can be changed with a click of the mouse, and there’s no registration involved. It’s been a mainstay of the streaming scene for a while, though it did briefly switch over to Putlockers.to (and a few other domains). Is fmovies the best streaming site? ​One of the things that set fmovies apart is its great functionality on mobile. Like YesMovies, it makes it really easy to watch movies from your smartphone or tablet. You can even use it on your game console! Another feature we really like is the ability to request a movie that you want to see. But don’t worry, they already have plenty to choose from. Is MyDownloadTube your favorite streaming site? If you’re a fan of both streaming and downloading, MyDownloadTube may be for you. It boasts an impressive library of movies for streaming, all in a fairly neat package. But it also gives you the option to download. It makes it really easy for movie buffs who want to add the movie they just streamed to their personal collection, without having to jump through any extra hoops. In the mood for a documentary? Then make your way over to TopDocumentaryFilms, a totally free streaming site dedicated to – you guessed it – documentaries. Though you can still find documentaries on some of the other sites on our list, there aren’t nearly as many in one place as what you get on TDF. The site even has its own reviews and comments section – along with being sorted by category – which makes it easy to find the best ones to watch. After seeing all of these great ways to stream your favorite movies and TV shows for free, you’re probably ready to kiss your paid service goodbye. But for the sake of completeness, we’ll give a quick rundown of a few of the better paid streaming sites out there. After all, they may still come in handy on certain occasions and are getting cheaper all the time. If you want to see which streaming service has the channel or network you want to watch, check out a resource like this updated streaming service channel line-ups chart. We’ve all heard of Netflix, of course. It’s one of the sites that made streaming popular in the first place, making older methods of watching movies obsolete in the process. But how does it stack up against other streaming sites? For starters, Netflix is a little pricey, at $8 to $12 per month, depending on the number of screens you need it for and the video quality. Not only is that a lot more expensive than free, it’s more also more expensive than many of the other paid streaming services. On top of that, Netflix’s selection leaves a lot to be desired. They cycle movies and TV shows, meaning for every program they add, they remove others. Of course, VPN users can drastically expand their selection by changing their location to different countries. Related: Best Netflix VPN – Which VPN Still Works with Netflix? Each country has a slightly different library, meaning a movie that’s unavailable in the US may be accessible on the UK or Brazilian Netflix, for example. All in all, Netflix is quite limited compared to free sites, but it does benefit from a certain level of convenience, along with great original programming (though these too are available on most of the free sites). Amazon Prime Video is a fairly new contender in the world of paid streaming sites (so is Amazon Prime Video UK). How does it stack up against some of the more established names, like Netflix? There are two ways Amazon’s service stands out. For one, it comes complete with a membership to Amazon Prime, which gives you free 2-day shipping on all your Amazon orders – along with some other goodies. If you’re already a regular Amazon shopper anyways, you’ll be getting a ton of value with your $99/year subscription. The second bonus is that Amazon allows users to watch movies offline, for those times when you don’t have (good) Internet access. Netflix is just starting to introduce this feature, but they’ve definitely been behind the curve on this. At $8 a month, Hulu is a solid choice for TV buffs – but not much else. Not only does it have a lot of TV shows Netflix doesn’t have, it usually adds new episodes a lot quicker, meaning it’s easy to keep up with the current season of your favorite show. But its movie library is definitely lacking. Seriously, there’s a nearly an endless amount of content to choose from here.Of course, whether you’re using free or paid sites, it’s always a good idea to have a solid VPN at your back. It’ll keep your info and computer safe and sound while browsing free sites, while allowing you to access country-specific content on sites like Netflix that impose geo-restrictions on what you can watch.